This is Osami Mizuno's Official Web Site. 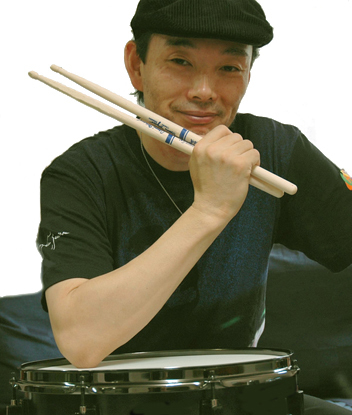 Osami is a drummer who studied with legendary Alan Dawson in the 70s, and now is trying to keep Alan's legacy alive. 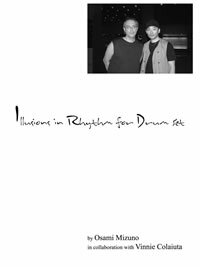 "Illusions in Rhythm for Drum set"
Thanks to you, my book, The Alan Dawson Drum Method vol. 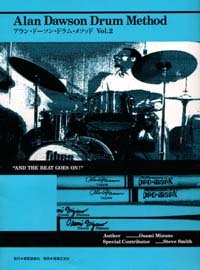 1.SNARE DRUM TECHNIQUE (RUDIMENTS) is due to enter its 9th reprinting. Drum Method vol. 2 .SNARE DRUM SOLO (RUDIMENTAL　RITUAL)is due to enter its 5th I am very grateful for your well wishes and support. Special Thanks : mr.Tony Williams. I would like to express my respect and gratitude to Tony Williams ( Who passed away a year to the day after Alan, on February 23,1997 ) for teaching me to challenge my self, live strongly, and strive to be a better human being throughout the many years that I knew him. - Dawsonisms / and The Beat Goes On ! Copyright (c) 2011 OSAMI OFFICE. All Rights Reseved.